Blockchain is a digitized, decentralized, public ledger of all cryptocurrency transactions. Each nodes in the blockchain has a exact copy of the whole blockchain. What a Blockchain developer should know? You have to have little knowledge on economics and have general idea about transactions. You should also have basics of cryptography and how it works . Address — Address are alpha numeric hashes that are used to send or receive transactions on the network. 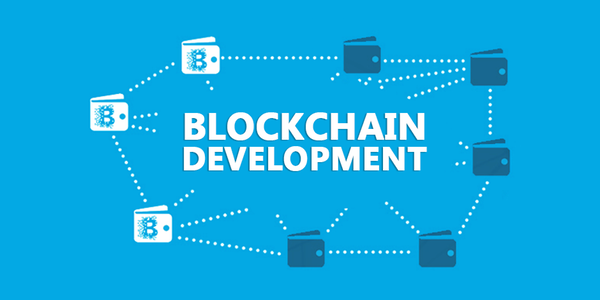 Blockchain — It is a shared ledger where transactions are permanently recorded as a sequence of blocks. It contains every transactions that the network performed to validate in a long chain of blocks, so called Blockchain. Block Reward — The reward given to the miner who participated in the network to validate the transactions. Consensus — A general agreement between the nodes or particpants in the network for the validity of the transactions, ensuring the ledgers in all the nodes are exact copy of each other. Dapp — An application running on a decentralized peer-to-peer network, that operates autonomously,stores the data in the blockchain and operates on a protocol that shows proof of value. DAO — Decentralized Autonomous Organizations is a form of digital organization that runs without human intervention and controlled on the business rules . Distributed Network — A network where each participating nodes work together to perform tasks. Double Spending — a potential flaw in digital cash scheme, where a single/same digital token can be spend more than once. Cryptocurrency is a medium of exchange, created and stored electronically in the blockchain, using encryption techniques to control the creation of monetary units and to verify the transfer of funds. What is a Blockchain Developers? Software developers that figure out how to secure an immutable distributed database. Smart Contracts are decentralized application or programs that run on ethereum network. They are self executing contracts with the terms of the agreement between buyer and seller being directly written into lines of code. Solidity [http://solidity.readthedocs.io/en/latest/ ] — The programming language used to create smart contracts on the Ethereum Blockchain. Truffle Framework [ http://truffleframework.com/ganache/ ] — Development, testing framework and asset pipeline for Ethereum that has builtin smart contract compilation, linking, deployment and binary management. Online Solidity Compiler [ http://remix.ethereum.org/ ] — Browser based compiler and IDE that enabled users to build Ethereum contracts with Solidity language and debug transactions. Metamask [ https://metamask.io/ ] — It is a bridge to connect the Ethereum node through browser. Ganache [ http://truffleframework.com/ganache ] — It is a personal blockchain for ethereum development you can use to deploy contracts, develop your applications, and run tests. Web3.js [ https://github.com/ethereum/web3.js/ ] — This library is a collection of modules which contain specific functionality for the ethereum ecosystem. You will start by installing required tools required for development. This will generate following files in the directory. Edit truffle.js file that contains the configuration of the blockchain network. If the codes are all fine we will see no any issue. Migrations is the default contract truffle init creates. The contract Counter we created will be deployed in network as we can see above at 0x345ca3e014aaf5dca488057592ee47305d9b3e10. Once the contracts are uploaded to the ethereum network, we will see a contract address which is what used in the future for calling the methods in the contract. From the above example we have successfully created a simple Counter contract. This contract we have methods to get counter (getCount), increment(incrementCounter)/decrement (decrementCounter) the counter in the contract. Now we can directly access the method in the contract directly through the truffle console being inside the project directory. To get the accounts that are present in the network. The get methods in the contract all have no fees however, if the method/call changes the state of the values in the contract then is requires gas ie. money. There is another way to interact the methods in the contract through GUI with MyEtherWallet. We will continue with interacting with Blockchain network in local through MyEtherWallet in later tutorial.